Hello all, another week has come and gone! I had a busy week: hair cut, physiotherapy, best friend’s birthday celebration, eye exam…lots to do! It was nice to have all my hair cut off. It’s been too darn hot to walk around with all that hair on my head! My hair is very thick, wavy, and frizzy, and it had been at least a whole year since I got it cut, so it was definitely time! I had it cut as short as I could go while still being able to put it in a tiny ponytail, and I’m quite happy about it. I use a lot less shampoo and conditioner than I used to! I had my eye exam and got new glasses, which is kind of exciting too, since my old prescription wasn’t strong enough and I couldn’t really see anymore. I got new frames that look as much like my old frames as possible, and I’m just happy that I can see and read street signs again! My BFF’s birthday is today, but we had a little celebration on Friday night, and it was a lot of fun. The weather was perfect for hanging out in the backyard all night, and I gave her a few books as gifts: Kate Morton’s The Distant Hours (one of my ultimate favourite books! 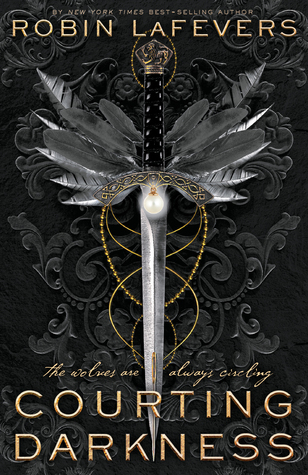 ); The Unbecoming of Mara Dyer (I also just recommended this book to my sister, since I liked it, loved the sequel, and am eagerly waiting for the third book, The Retribution of Mara Dyer, to come out this fall); and The City of Bones (so we can go see the movie!). Last night, my husband and I watched Django Unchained. It was nice to be able to see with my new glasses! What a movie! I’m a big Quentin Tarantino fan. Christoph Waltz was fantastic, and I enjoyed seeing Leonardo DiCaprio in a role that didn’t require him to be the handsome love interest or the hero. And Jamie Foxx was really good! It was a long movie, and it was what I’ve come to expect from Tarantino, particularly the great dialogue and over the top violence. I definitely recommend this one. I had some really awesome book mail this week, too. I received my package from my Ninja Book Swapper (a summer book swap organized by Bex and Hanna) and it was such a great surprise! 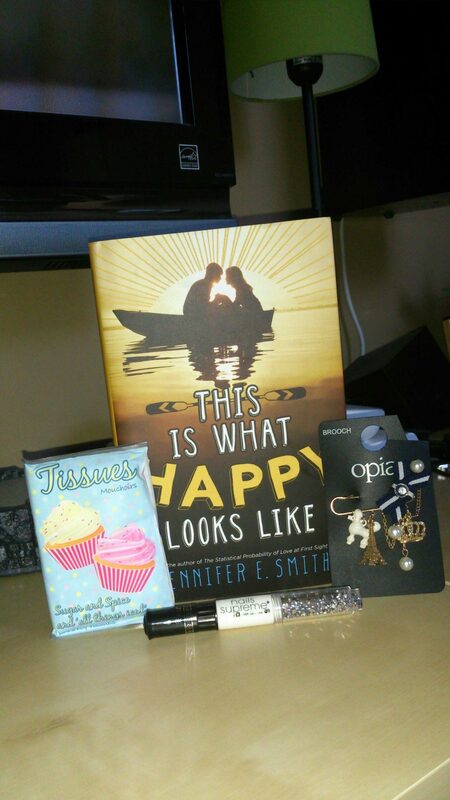 I received a beautiful hard cover of This is What Happy Looks like (which I’ll be reviewing later in the week); nail polish art tools; cute cupcake tissues; and a gorgeous brooch. It was awesome to come home from a tough day of work and find that waiting for me! 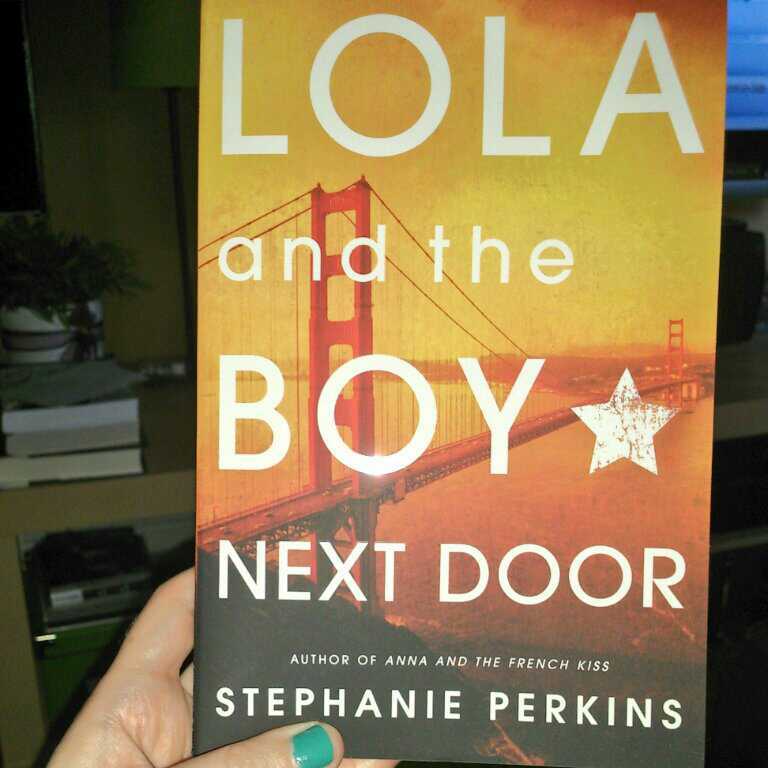 That same day, I also received my autographed copy of Lola and the Boy Next Door from Stephanie Perkins. YAY! 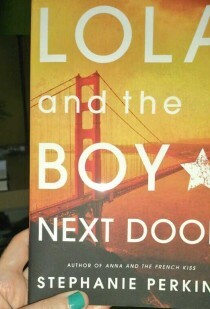 I won it through a Twitter contest she was running, and I can’t wait to read this one! And my last bit of book mail was an ARC of Fire With Fire, by Jenny Han and Siobhan Vivian, which I am so flipping excited to read! I loved Burn For Burn and I can’t wait to see what happens next. As for purchased books, I picked up a few in the last little bit: Cat Winters’ In The Shadow of Blackbirds; Holly Smale’s Geek Girl; Soman Chainani’s The School for Good and Evil; and Jessica Spotswood’s Born Wicked. 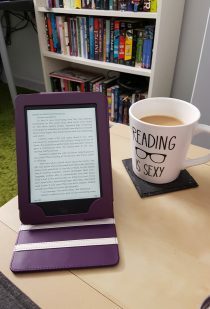 On the blog, I continued with the 15 Day Book Blogger Challenge, and posted my reviews of Bethany Griffin’s Masque of the Red Death and Elizabeth Wein’s Code Name Verity. 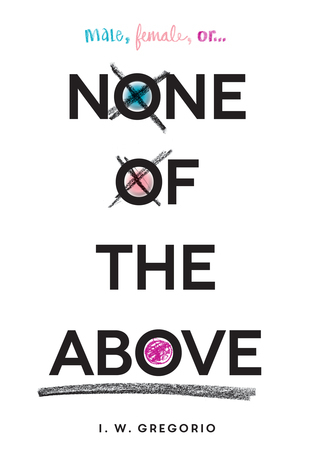 I finished reading three books this week: Kevin Kwan’s Crazy Rich Asians; Susan Beth Pfeffer’s This World We Live In; and Kate Karyus Quinn’s Another Little Piece. Look for this reviews in the next few weeks! Coming up this week on the blog are some more book blogger challenge posts, and my review of Going Vintage by Lindsey Leavitt and This Is What Happy Looks Like by Jennifer E. Smith. I’m currently re-reading Incarnate by Jodi Meadows, for book club, and an e-galley of Susan Beth Pfeffer’s The Shade of the Moon. I’m going to spend the rest of the day doing my nails, reading, and watching baseball. Happy Sunday! 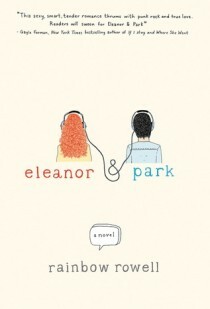 Announcing the Sisterhood of the Traveling Book Club!